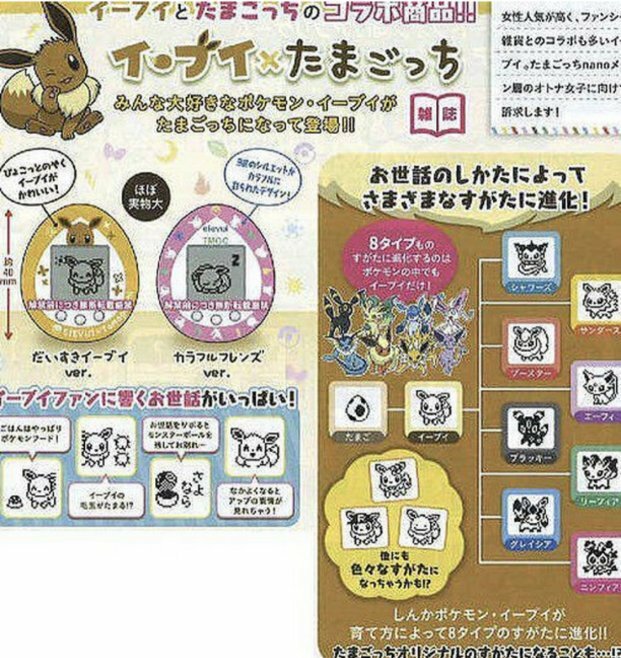 The image above has been making the rounds on Japanese imageboards; it shows what is apparently a special Eevee-themed Tamagotchi. As with other Tamagotchi, you will be able to raise your Eevee and care for it. Given enough care, it can also evolve into one of its eight evolutions. You can also get special Eevees, like a Ditto-Eevee and one wearing a Team Rocket hat. At the moment, this is unconfirmed, so take this with a grain of salt. We will keep you updated in case there’s an official announcement.